As of yesterday, I am now an Active Member of the Science Fiction and Fantasy Writers of America, the professional association of those people who have proved to the organization that they have sold works of SF or Fantasy in the English language to real writers’ markets (or to the public at large) and have received substantial payment for their work. There are just under 1800 members. 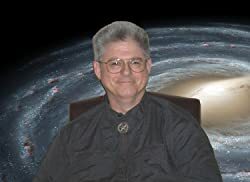 This is a credential in the Science Fiction and Fantasy world that says that the member is a “real writer,” and is important if only for that reason, not to mention that it makes the member’s works eligible for the prestigious Nebula Award and allows the member to participate in other activities. Yea, it’s just a “credential.” BUT, it is a crredential that I’ve wanted for a long time and that I am very pleased to receive.